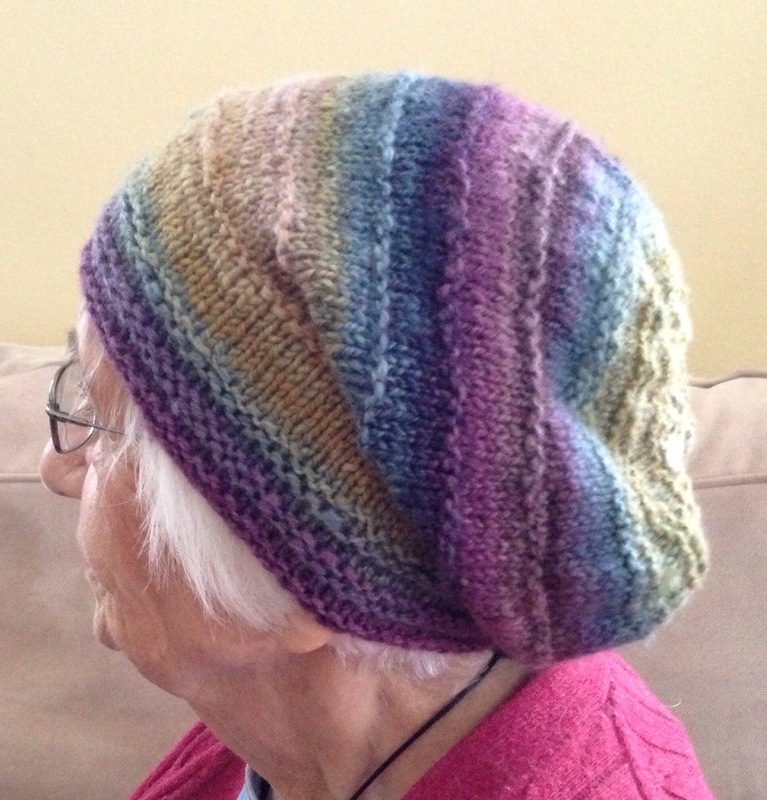 At last, I got the second rendition of the hat I made for my mother-in-law photographed. 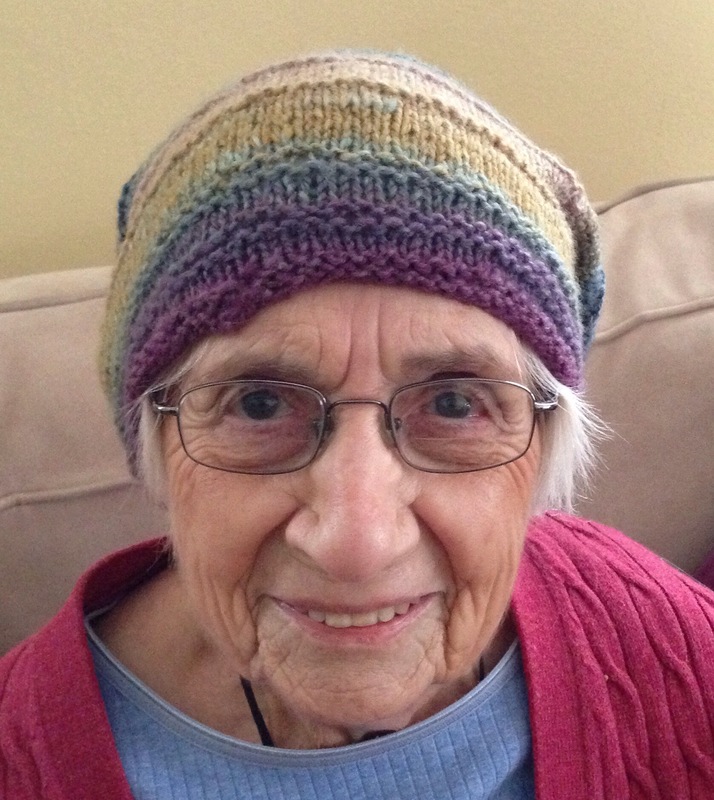 As I’ve mentioned before, she saw my own handspun Norie and asked if I would make her one. So I spun up some yarn and banged one our in time for Christmas. Only I failed to check my gauge. And you know the risk involved in that. When I realized it was WAY too big on her little noggin, I ripped it out and made it again. But I wasn’t able to get modeled pictures until now (the weather wouldn’t comply with an outdoor shoot). 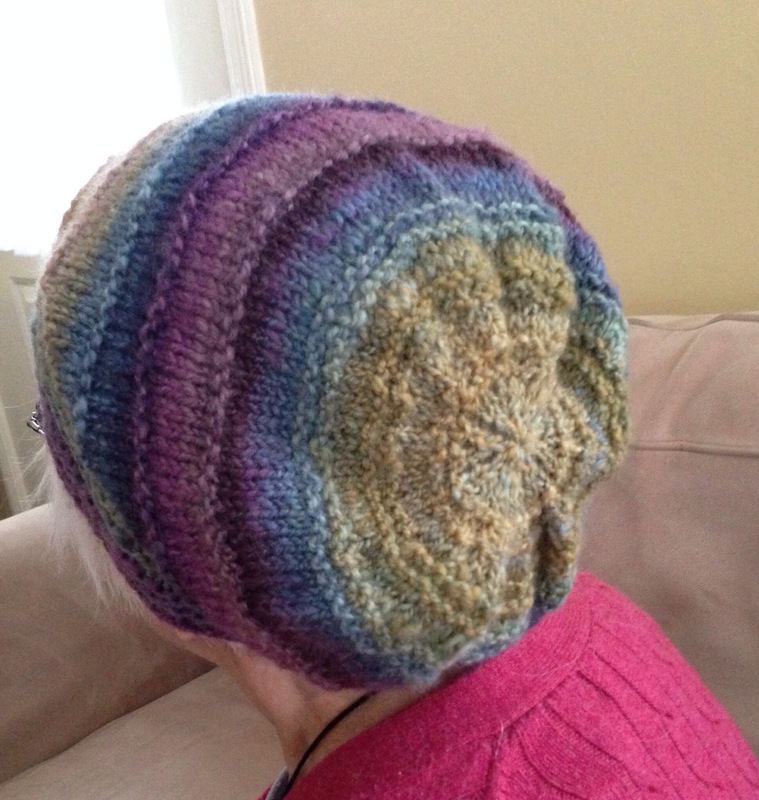 I love the way my handspun Hello Yarn Polwarth in “Troll” striped up just right in this hat (I did manipulate it in places). Hello Yarn’s colors are, as usual, to die for. And I adore this pattern. I make it without the lace bits, and I shorten it. 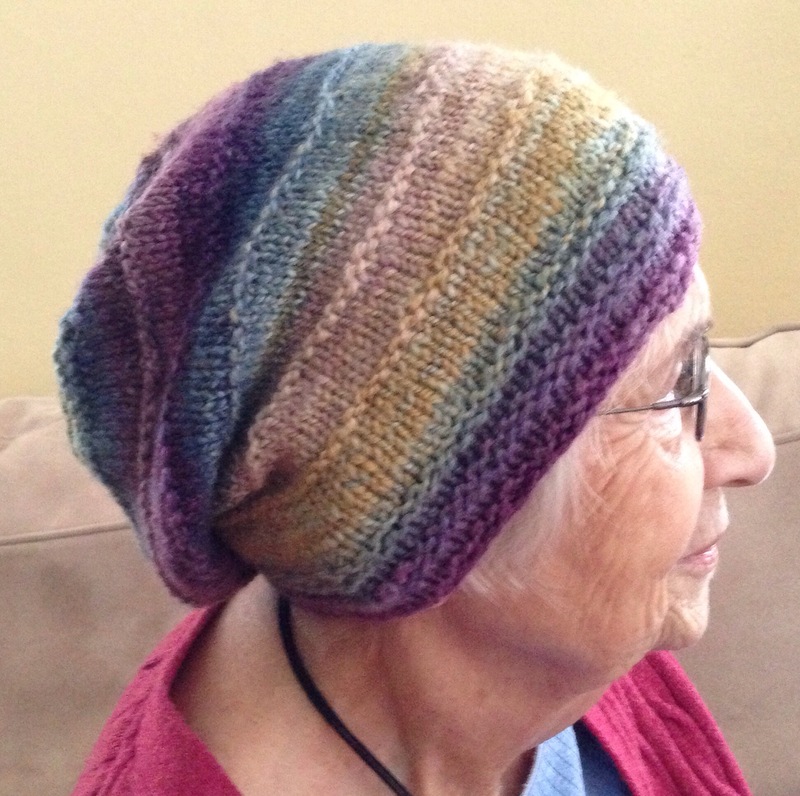 Such a lovely slouchy hat, and perfect for handspun. I love the colors of the yarn and your mother-in-law looks so sweet. Oh my gosh..I can’t decide what is more adorable…your mother in law or the hat!! So sweet! And your spinning is awesome..so even!! Nicely done!